Happy Holidays! Yes, it’s finally here, folks! You can stop feeling bad about listening to those Christmas tunes you’ve been sneaking in for the past two weeks, you can finally put the lights up on the house, and you now have every good excuse to host festive get-togethers! Holiday parties are one of the best parts of this season. 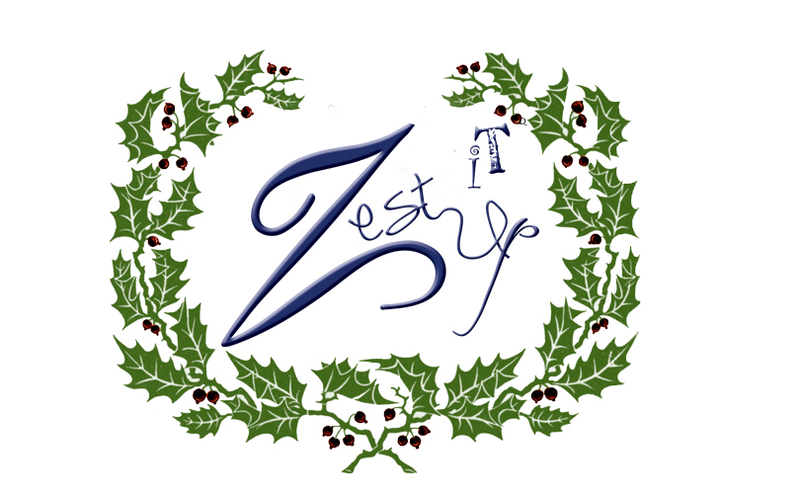 Whether you are planning a party for your office or your home, Zest it Up can help you plan the perfect event. Let us do the cooking…we created a special holiday menu just for you, so you can just sit back, relax, and enjoy the party. The perfect debut for the holiday menu: the Holiday Boutique in Edna Valley hosted by Aloette Skincare and Cosmetics with Kristen Jones! Make sure to stop by this Friday, November 30 to check out this great opportunity to get going on your holiday shopping while supporting local businesses. You will find us with a table full of our homemade gifts—from jewelry holders to cookies and gift certificates for cupcakes, you will be able to purchase many of the things we have recently been sharing with you on our blog. See you there!